AT A VERY YOUNG AGE, I was mesmerized by the alluring and soulful melodies of Hebraic chanting. Listening to the voices of many singing out as one along with the captivating Cantorial line made me feel as if our prayers not only filled the chambers of the synagogue, but were rising above and beyond its walls… I was enchanted. My relationship with these beautiful melodies has always been a deeply personal one. There is something incredibly moving about reciting melodies that date back generations. Hearing them echo through the synagogue can place you back in time. Not only do these songs connect you in the present but they link you to the past, keeping history alive. As the youngest member selected to solo with the choir at Temple B’nai Sholom (Rockville Centre, Long Island), I became immersed in the richness of these Jewish melodies and sang as soloist during the High Holy Days for years. During the summer of 2000, I was selected for the position of Music Director of Camp Young Judaea in New Hampshire, where I served as Lead Soloist for Friday evening and Saturday morning services. While at the camp, I also directed a musical group for the Israeli Arts Festival, which received high honors. 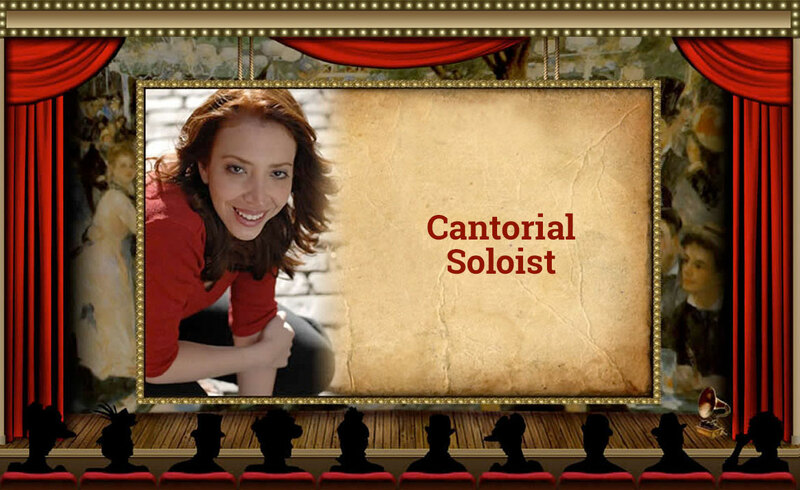 Currently, I am a Cantorial Soloist at Temple Shaaray Tefilah in Westchester, New York. I have been studying Cantorial Liturgy privately under the expertise of Cantor Leon Berger for the past several years. I am fully trained in Friday evening and Saturday morning Shabbat Services for either reconstructionist, reform, or conservative services. I combine traditional Hebraic chant with Sephardic and Ashkenazi melodies. I also perform traditional Hebrew songs for Jewish wedding ceremonies. To listen to samples, please see my Music page.